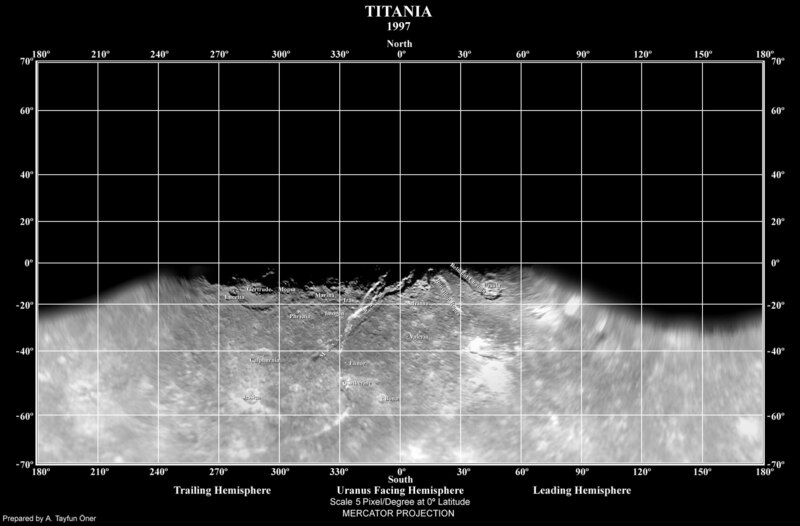 This image is a mercator map of Titania. The map covers from 70 to -70 degrees latitude with 0 degree longitude located at the center. The scale is 5 pixel/degrees at the equator.